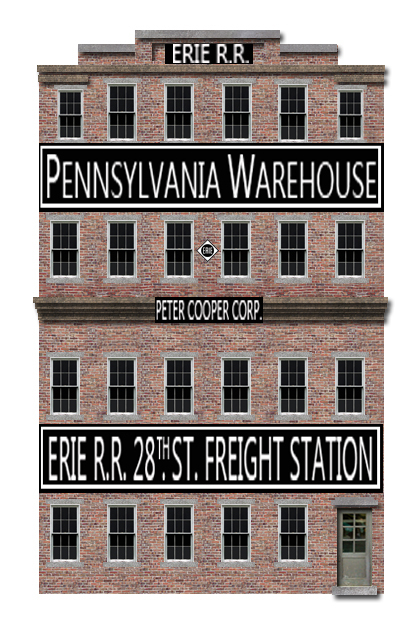 Designing and Building the HO Scale Version of the Erie's 28th Street Freight House. 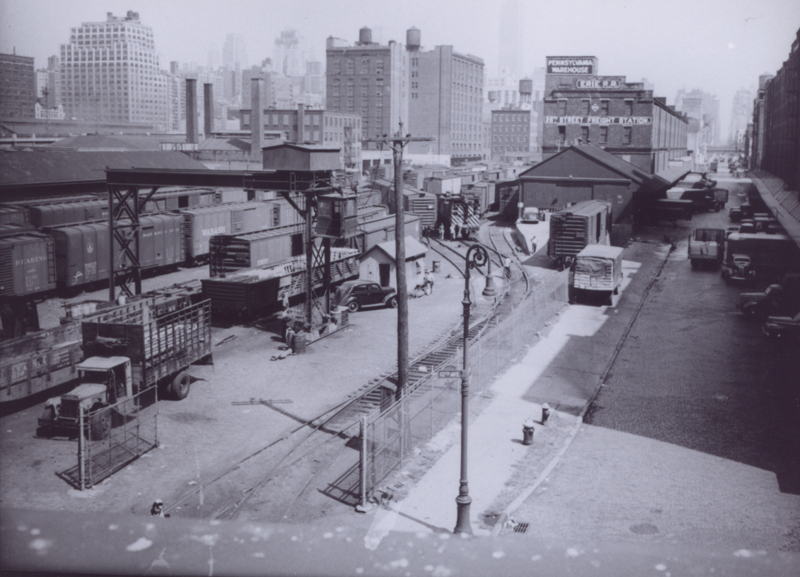 This is the photo of 28th street that inspired the layout. This is just before the construction to the 2 story addition to the 29th street freight house. 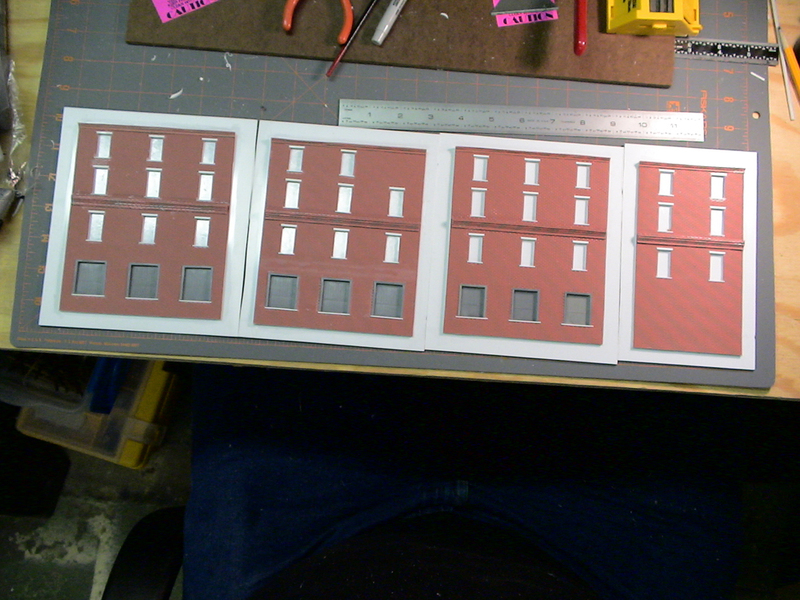 The 28th street Freight House is how I will be modeling it. The big trick is the 3 way turnout in at the throat of the yard. looks like fun to hand lay! I believe that the photo was taken from the Miller Expressway. The large building on the right is The New York Terminal Stores building. The white building near the crane is suppose to be the Yard Office. Fist things first, what components make up the 28th Street Freight house. The Front of 28th Street. 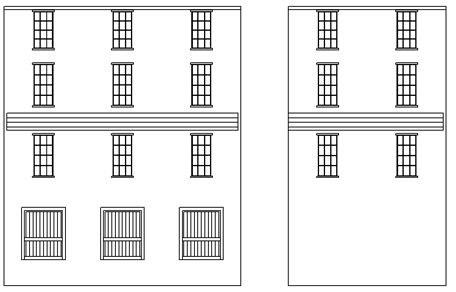 Re-drawn to match changes made to 12 Avenue side. The front of 28th street is symmetrical and has the six columns of windows. The windows to be used are Tichy 8058 & 8252. With the Tichy 8033 Door. Main Panel. This panel repeated several times on both sides of the building. Only the freight doors change. Secondary Panel. This panel only repeats twice on the rail side of the building. 28th Street 12th Avenue Side. This is the latest Drawing based on the new information provided by Jay Held. 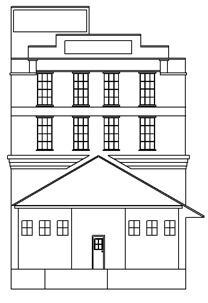 The building drawing of the rear represents the windows NOT being centered and newly discovered door and 6 windows on the peaked section. It does not appear that the peaked area is made of brick. Also on very close examination of the photo on the top of this page, there is a car parked on the concrete loading dock and that the end of the dock seams to be a ramp! 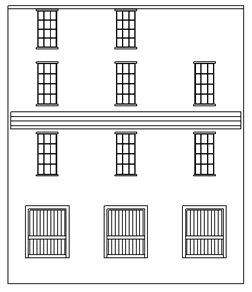 Not shown in this drawing are three vent pipes and a light fixture above the door. The drawing is currently under revision due to the photo above. This photo illustrates the 2 panels with the missing windows in the shaft ways. Also please note the shutters that covers the windows. Also this photo was taken in the 1970's and was given to me by Vincent Lee. 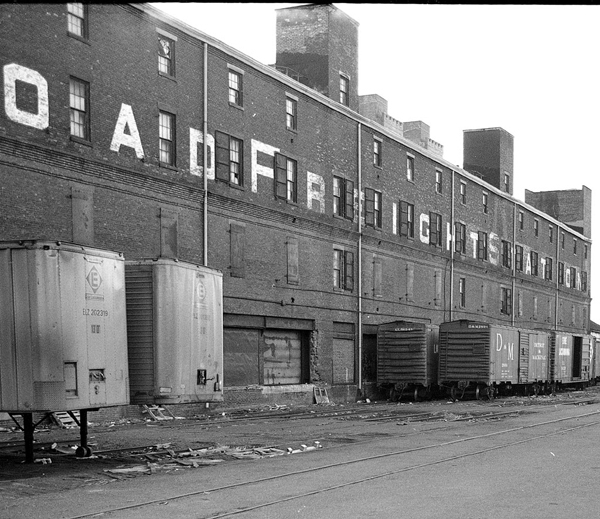 I have some photo's of the front of the Freight House but the quality is to poor for reproduction. So far the following drawing shows what I want to do. I need to revise the drawing to show the massive sliding door vi sable in the photo from the top of the page. And to my surprise there are windows to the left and right of the door. Also the peeked roof portion of the Freight House only has 2 doors. 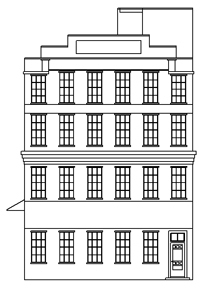 Check back for future updates on the castings of the Freight House and drawing updates. Once again many thanks to Vincent Lee, Thomas Flagg, and Jay Held for all the help with the information and photographs. With out your help I would not be able to build this layout! 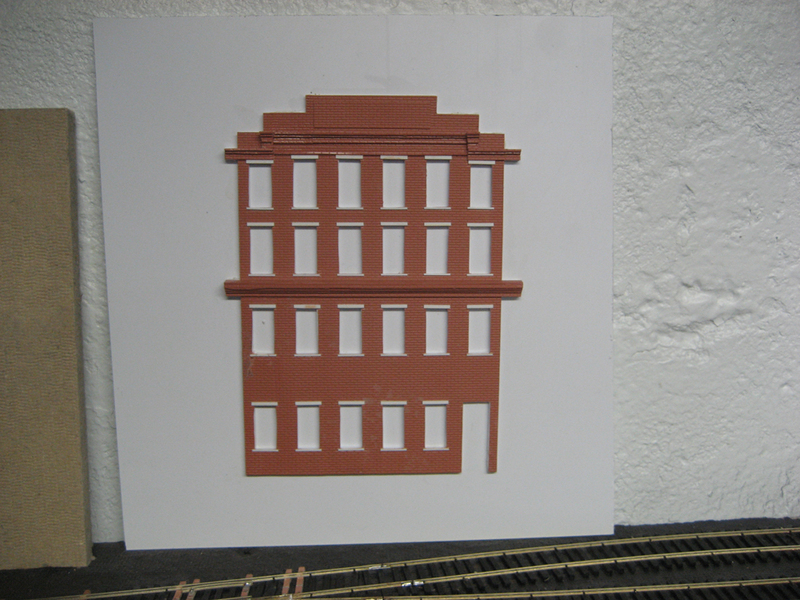 Here is a first attempt at a Photoshop paper model of 28th Street Freight House. Click the photobabove to see the full early mockup.